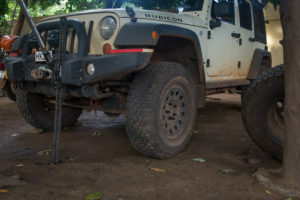 Dan Grec gives us a round-up of the stuff that he felt necessary to have along for his trip around Africa: recovery equipment, tools and spare parts sufficient to live out of his camperized JKU for two years! A powerful, reliable winch is a must. The synthetic line makes the overall package lighter, and less likely to injure me in the event of a line breakage. I chose not to run a wireless controller because of the proven reliability of the wired solution. 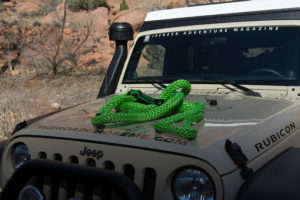 The Factor 55 flat link makes hooking up the winch fast and easy. 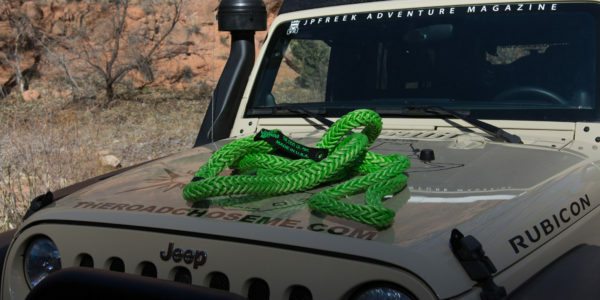 Popular for years in Australia, these ropes can be a lifesaver when using one vehicle to extract another. 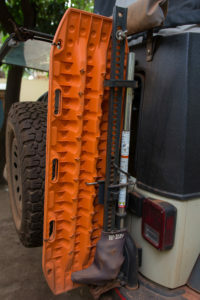 Useful for many situations, a Hi-Lift Jack is a must-have for any expedition. 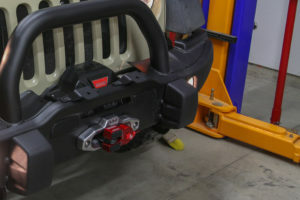 Handy for regular towing and attaching the winch line to anchors. Having the ability to double the power of my winch, or pull on strange angles increases my chances of an easy recovery. 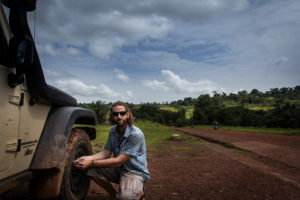 West Africa is known for it’s epic mud pits – a shovel is a must have on this expedition. I need enough tools to cover as wide a range of failures and repairs as possible. I don’t carry enough to do major internal engine or gearbox work, I’m focusing on everything external. Ideal for airing up and inflating flat tires. I don’t carry air tools, so this compressor is not sufficient to run them. Combined with the ARB tire inflation kit, the ARB tire repair kit and a bunch of spare valve stems and inners, I’m confident tires failures are covered. I don’t expect to encounter mechanics that can diagnose any computer problems, so with this dongle and the appropriate iPhone app (I like EasyDiag with the Chrysler package) I can read and reset trouble codes, and read real-time sensor data from all the various Jeep computer systems. I am carrying a ton of small items I used to build the Jeep which will likely come in handy. A 12V soldering Iron, a Multimeter, lots of fuses of all sizes, a whole lot of sockets, wrenches, pliers, a hacksaw, allen keys, Torx bits, screwdrivers, hammer, wire, solder, etc. etc. I’m only carrying common failure and maintenance items to handle the most likely failures. I have decided it’s too much weight to carry things like alternators and starter motors. If I require those, or have serious engine failure, I will have parts shipped over to me, wherever I am. This minimum set of spares worked well from Alaska to Argentina. Lots of fuses, wire, relays, etc. 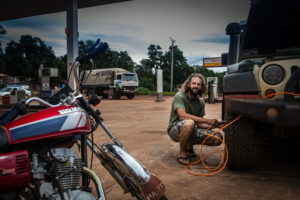 I am also planning a round of maintenance when I reach South Africa, the half-way point of the expedition. I will find official Jeep dealers there, so sourcing parts will not be a problem.